This post is the first in a series of essays on blogging for alternative dispute resolution professionals that will unfold over the course of the summer. Blogging, after all, is an ideal medium for sharing ideas, transmitting knowledge, engaging in dialogue, and connecting with others in our field. My hope is that blogging will fire the imagination of conflict resolvers to the degree it has for other professions and endeavors. One of the benefits of membership in the Association for Conflict Resolution is the subscription to its quarterly magazine, ACResolution. I had eagerly awaited the Spring 2006 issue since its theme was “Marketing Your ADR Practice: How to Make Conflict Resolution Your Day Job.” I figured that somewhere in there there’d definitely be something on blogging, maybe even an entire article devoted to blogs.As it turned out, I was wrong. There wasn’t a single mention of the word “blog” anywhere in the entire issue. Not even, to my utter amazement, in an article on “Marketing Your Mediation Practice on the Internet”. How could a national publication with a sizeable circulation fail to include blogs in a whole issue devoted to marketing? And how could blogs have been omitted entirely from an article specifically on marketing on the internet? This seemed symptomatic to me of blogging’s overall invisibility to the ADR community–something I am determined to change. The influence of blogging cannot be denied: blogs have shaped our political processes, transformed the way we conduct and market our businesses, revolutionized the dissemination of knowledge and information, and redefined journalism. For ADR practitioners and scholars to understand the significance of blogs, it may be helpful to consider its impact on an allied field: the law. The most compelling, cutting-edge, honest legal writing being produced in this country today is happening on the Internet, and the crop improves daily. From the fistful of judges (including Richard Posner) who maintain regular blogs, to the vast and growing number of law professors and law students who find the time to post daily, it’s clear that the real bones and guts and sinew of the national conversation is happening online, and not in print. Although law blogs emerged only as recently as 2002, today there are over 1,500, according to “Blog 2.0: The Next Stage of Lawyer Blogging“, a recent article published on the American Bar Association web site by influential law blogger Tom Mighell. Law blogs, which launched a revolution in communication for the legal community, have gained such momentum that they are now rapidly moving toward a “next stage” as the title of Mighell’s article reflects. It seems surprising then that the popularity and success of law blogging have not been duplicated among ADR practitioners and scholars, given how many parallels lie between our field and the law. Alternative dispute resolution, like the law, has produced dazzling scholarship, influential texts, and numerous symposia, conferences, and initiatives. Despite its relatively short history as a modern movement, it enjoys a rich tradition of intellectual endeavor and advancement, produced through collaboration and communication among its adherents. It is a field by virtue of its very nature that promotes and pursues the exchange of philosophies, beliefs, and ideas. It is all about conversation. So, too, is blogging which provides an ideal medium for mutual discovery, exchange of knowledge, and fostering connection. And all you need is a computer, an Internet connection, and an idea to share. Despite the slow initial growth of ADR blogs, both momentum and awareness are building. The National Institute for Advanced Conflict Resolution (NIACR) recently made history in announcing the winners of its first Annual Mediation Blog Roundup. This award, the very first of its kind, goes far to legitimize and gain recognition for blogging in the conflict resolution field. My deepest appreciation to NIACR for raising the public profile of conflict resolution bloggers. In addition, the editors at ACResolution contacted me in the spring to ask me to write a 500-word article on blogging which will appear in the Summer 2006 issue. That’s exciting, too, since this is the first time (to the best of my knowledge) that ACResolution has ever published a piece on blogging. The issue comes out this month (although unfortunately it won’t be available online). Meanwhile, the number of ADR bloggers is growing. Since I launched the World Directory of ADR Blogs just a few weeks ago, I’ve already added more than a dozen new titles, and others will be coming soon. Begin to read ADR blogs–see my blogroll (over on the right or here at Bloglines.com) for a list of ones I regularly follow, or visit the World Directory of ADR Blogs to find more. Some of the best include: Mediator Blah…Blah…, Mediator Tech, Campus ADR, ICT for Peacebuilding, Mediation Mensch, and Negotiating Tip of the Week. Post comments on ADR blogs as a way to get a feel for the medium (something you can do even if you don’t blog) and to take part in blogging discourse. 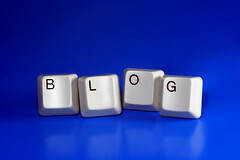 Start an ADR blog (click here for information and resources on blogging). Support other ADR bloggers by linking to them or posting about them in your blog. Introduce yourself to established bloggers–send them an email and say hello. And if a blogger emails you, be sure to write back–it’s a great way to build your online network. Introduce yourself to new bloggers and make them welcome. Contact me to get your ADR or ADR-friendly blog added to the World Directory of Alternative Dispute Resolution Blogs. If you need help or have questions about blogging, count on me as your resource. Get in touch with me or the other ADR bloggers who are out there. And please check back here at Online Guide to Mediation for more articles in this series on blogging as I share with you the benefits that publishing a blog can bring. This entry was posted in Blogs and Bloggers, Cool Stuff on the Web, Tech and Business Tips for Mediators. Bookmark the permalink. Great post. I was at the International Academy of Mediators meet in Boston in April and it was clear that most just did not get blogging and what potential it held for our ADR scholarship. Is it a generation thing?
. . . with all due respect for my g-g-g-generation, yes, it’s a generation thing . . . but we old dogs (50+) can learn new tricks . . . see http:settleitnow.blogspot.com. Blogging is good for your brain, too. See my post “This is your lawyer brain on blogs” here:http://westallen.typepad.com/idealawg/2006/07/this_is_your_la.htmlThanks for a great blog, Diane.